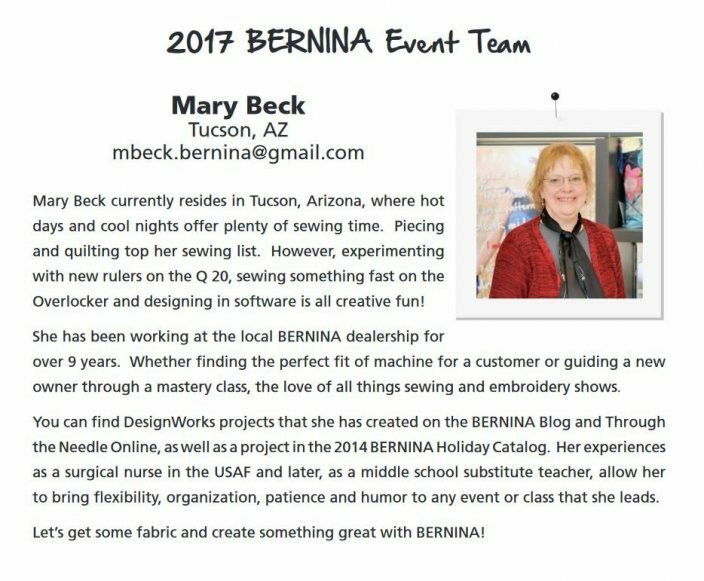 Join us on Friday for a three-hour hands-on workshop with BERNINA educator Mary Beck. 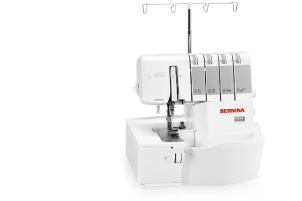 During this workshop, you will have hands-on experience with a new BERNINA L460 or L450 serger and experiment with stitch set-up, fabrics, and thread. 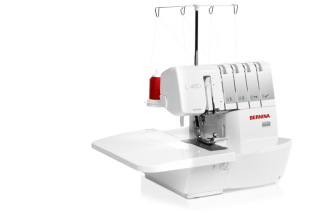 Registration fee of $35 includes all supplies and use of BERNINA sergers. Seating is limited. This workshop has one attendee per machine. 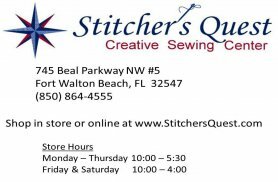 The location is at Stitcher's Quest, 745 Beal Parkway, FWB. CLICK HERE to register online or call during store hours (850-864-4555).